Acest produs este disponibil spre vanzare doar in pachete de 40 bucati. 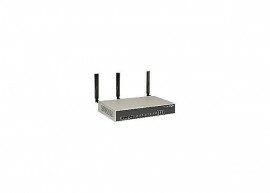 The FortiWifi-80CM wireless security gateway adds a built-in 802.11a/b/g wireless access point to the enterprise-level, multi-threat protection of FortiGate appliances. In addition, 3G wireless broadband connectivity via an ExpressCard slot and a built-in analog modem for dial-up failover capability make the FortiWifi-80CM the perfect choice for rapid Point of Sale (POS) deployments or flexible security offerings by wireless service providers. 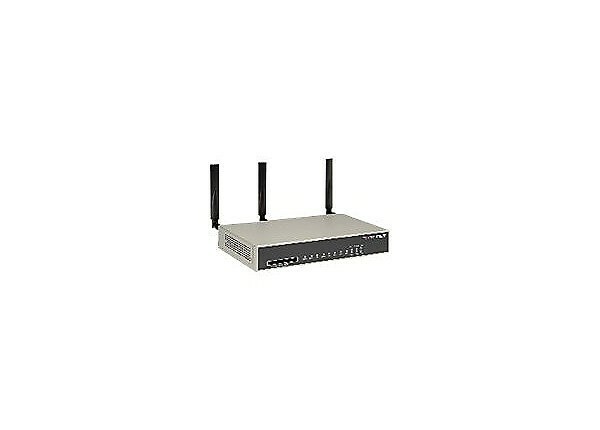 With dual Wide Area Network (WAN) ports for load balancing or redundant Internet connections, a DMZ port, and six integrated switch ports for multi-user environments, the FortiWifi-80CM is also ideal for securing retail and remote office networks. Taking advantage of the FortiOS 4.0 operating system, the FWF-80CM boasts data SSL-encrypted traffic inspection, leakage prevention, identity-based policies, IPS enhancements, and application control to offer protection against Web 2.0 threats and evasive applications and users. Rapid, turn-key deployment and easy management deliver low total cost of ownership and easily facilitate compliance with important legislative requirements such as PCI and Sarbanes-Oxley.